Having a watering or sprinkler system that is automated can be a real lifesaver. Carnivorous plants are notorious for their water needs – they simply can’t be left to dry out as much as other kinds of plants. These plants can be expensive too, so letting them die from a lack of water can be quite depressing. I will be sharing my experiences here, which also includes a complete build guide on how I created my own automated sprinkler system powered by a water pump for my indoor highland Nepenthes grow chamber. For years, I manually watered my plants, usually every day or two. It worked fine, but I honestly felt like a prisoner to my plants sometimes. The watering routine could easily take a hour, not to mention how difficult it was to take a vacation. If I wanted to be away from the house for more than two days, I had to arrange someone to come over and care for my plants. Even with perfect instructions, most people tend to underwater the plants because they aren’t used to growing carnivorous plants. So even with proper preparation for an out of town trip, I still might come back to find my plants sulking. Most sprinkler systems that you can buy for a greenhouse are powered by a garden hose and not a pump, so there really wasn’t a lot of great information available to me to help me figure out how to create something like this for a small indoor grow box. Those things led me to want to build my own watering system that would water my plants for me on a regular schedule. In addition to watering the plants, I also wanted to be able to leave this system unattended for potentially a week or two when on vacation. I also didn’t want to spend a ton of money to build it. However, I didn’t really know what I was doing in the beginning so I ended up wasting a lot of money on products that simply wouldn’t work. In the end, I created something that worked great, but if I had known everything that I know now I could’ve done it a lot easier and cheaper. 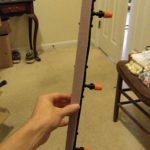 I’m going to walk you through the construction of my sprinkler system, step-by-step, so you can learn to build one for yourself and not waste time and money like I did. This same system can also be used for drip-feed systems because you still need high PSI for them. However, before I dive into the build, there are a few important things I need to talk about first that are important to automated watering systems. The single most important thing that you need to understand about building your own watering system is that there is a huge difference between GPH (gallons per hour) and PSI (pounds per square inch). I initially bought a powerful 1,000 GPH water pump to run a fairly small sprinkler system that would cover an area that was 4′ x 2′. That was a standard water pump commonly used in ponds. 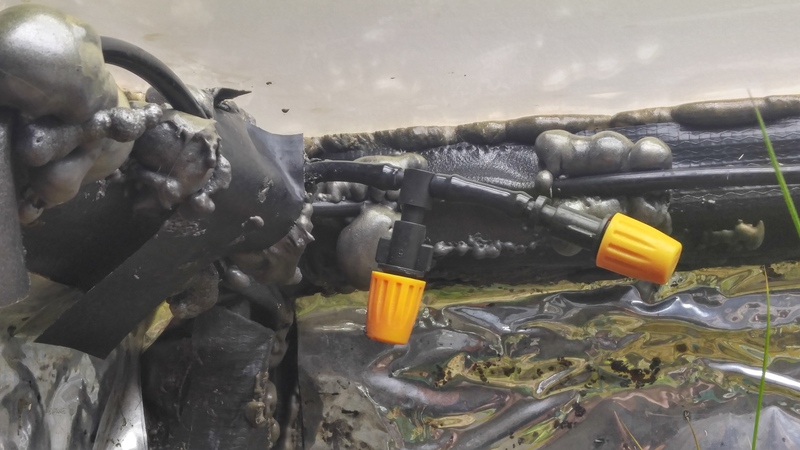 It worked fine to power one or two spray nozzles, but once more were added to the system it completely failed – water simply dribbled out of the nozzles. That’s when I realized that it didn’t matter how much water was running through the lines – it needed force behind it or water pressure. I figured out that pond pumps have a PSI of around 1-3, depending on the size. 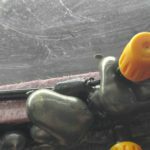 I then figured out that most sprinkler nozzles need about 30 PSI or higher to really spray properly – this is even more true with misting nozzles because you need pressure to generate the fine mist. I then started researching pumps that had a much higher PSI. What I found was rather disappointing. Most pumps for this purpose were either very expensive and/or they required wiring to connect them to power – I simply wanted a pump I could plug into the wall since I have zero electrical knowledge. 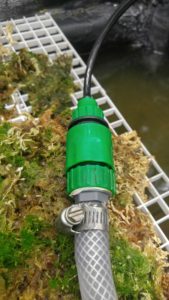 Eventually, I figured out a much cheaper option – diaphragm pumps. These are commonly used in campers and boats to run things like showers and sinks. Nearly all of them require you to wire them yourself, but I was able to find one that plugged into the wall. I’ll talk more about the pump I ended up using in my build during the step-by-step instructions below. No matter what kind of sprinkler system you set up, it is very important that you make sure that the water that runs through it remains free of any kind of debris. Anything in the water can end up clogging the spray heads. Personally, I use a dual-stage filtering system. The pump pulls water in through a tube that is inside of a pump filter bag. It also runs that through an in-line filter that attaches directly to the pump (that filter came with my pump). This ensures that anything going into the pump and especially the water going through the nozzles is free of anything that could clog them. To help save you a lot of time and frustration, I have put together a step-by-step guide on how I built my automated watering system for my Nepenthes grow chamber. I have also listed the supplies below that I used for this project. Most of the items were obtained from Amazon – those items in the list below are linked to the Amazon product page. Most of these were purchased online simply because they weren’t easy or were impossible to find in local retail stores (like the diaphragm pump). Anything that wasn’t purchased online came from either Lowes or Home Depot and those items are noted in the list below. The supplies in the Koram kit that I used can be found at Lowes / Home Depot, but they’ll be a different brand and likely more expensive. The 3/4″ male to 1/2″ barbed adapter can also be found in those stores, but I recommend getting it on Amazon because the cost is about the same and it can take forever to find in the actual store – I searched for an hour at Lowes to find it just to eventually discover an empty box for the item I needed, so I got it online instead. Before I get into how to put this sprinkler system together, I need to mention the water reservoir. The pump that I am using is an exterior pump, so it does not actually sit in the water. A tube runs from it to the reservoir, so it can pull water to pump through the sprinkler heads. Personally, I’m using a recirculating system. I have a grow box with plants in it. The spray nozzles are at the top. When they turn on, the plants get watered and excess drips to the bottom of the grow box. The bottom of the grow box is waterproof (the whole box is really), so water can collect here. I keep about 20-30 gallons of water here in the bottom, and this is where the pump pulls it’s water. In a recirculating system like mine, maintenance is really simple. You just watch the water level in the reservoir and refill it when it gets low. For me, this is about once every 2-3 weeks. Other positive things about the pump that I’m using is that it is self-priming and can also run dry. A pump that primes itself can be above the water reservoir, which means it can pull the water up through a tube. Non-priming pumps typically need a storage tank that is above the pump so gravity can feed the water into it to prime it. Most pond pumps can’t run dry or else they will die. If you happen to forget to refill your reservoir with this pump, it simply won’t spray water until you do refill it but it won’t damage the pump itself. Since I’m using a recirculating system that also aims to cover my entire growing area with sprayed water, my entire grow box needed to be waterproof or very close to it. The one area that isn’t entirely waterproof are my doors on the front. After setting up this system, I realized that water running down the front doors would drip out of the grow box. To solve this problem, I basically made a shelf with waterfall foam and some pond liner on the front doors that would allow the water to run off the doors and back into the water reservoir. This may or may not be something that you need to do too, but I thought it would be worth mentioning if you do end up with water leaking from your growing area. 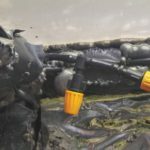 The first step is pretty simple – you just need to find a place to attach the pump so it can be stable and fairly close to your water reservoir. 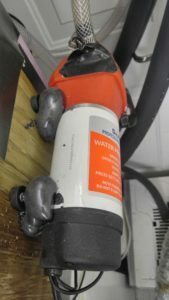 This pump tends to vibrate a lot, so it is best used when it can be connected to a solid surface. This vibration is really because of pump cycling. It is something that can be avoided by spending more on a special pressure tank that goes between the pump and the sprinklers. I only run the sprinkler for 10 minutes, 3 days a week so I haven’t worried about the tank but will likely add it in the future. Technically, this pump can be installed using any orientation you want. However, I would recommend NOT pointing the outlet tube side down. I have had the connections, especially the one pointing down, come loose and spray water everywhere! I believe this issue is because of the pump vibration and not necessarily a design flaw though. If the pump is run with no resistance on the outlet end (ie, just a tube connected for it to spray out water) then it runs very smooth and quiet. I mounted my pump sideways on the side of my grow box, which I built out of wood so I had a solid wood wall to attach it to. There are four rubber feet on the pump, and these feet have small holes in them. Use small screws to attach those feet to your solid surface. 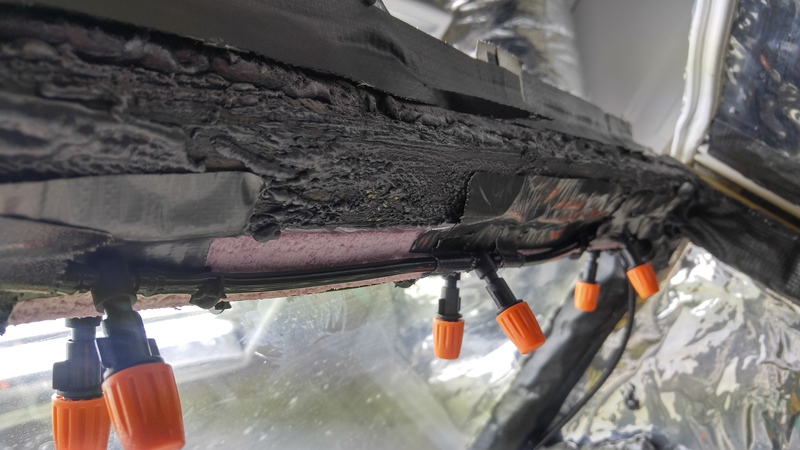 I also ended up spraying a bit of waterfall foam on the screws to help ensure they wouldn’t vibrate loose and to brace the pump to reduce some of the vibrations. You can technically do this step at any time, but I think it is useful to do it first to figure out how long your tubes will need to be for the next steps. The Seaflo diaphragm pump that I’m using came with a number of fittings that allow you to easily attach 1/2″ ID (interior diameter) tubes. I used the 1/2″ straight barb on the output side. 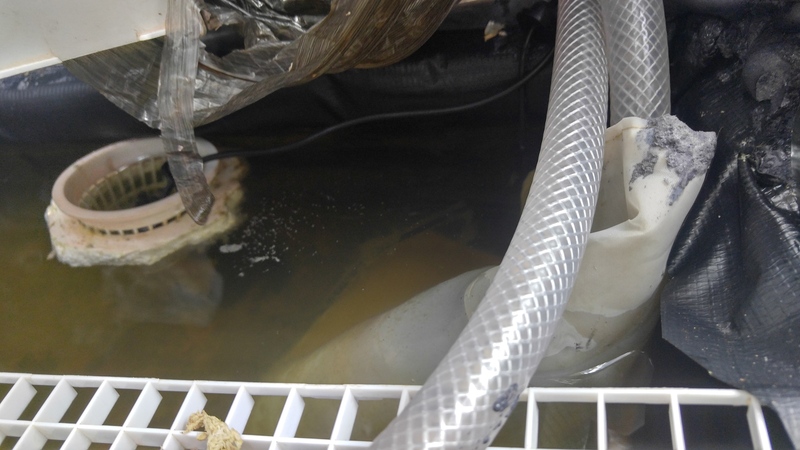 On the intake side, I used the 1/2″ 90° barb and the high flow filter. The most important thing to remember when attaching tubes to these fittings is to use tube clamps. I did not use clamps initially. The first time I turned on the pump, the tube shot off the output side and water went everywhere! 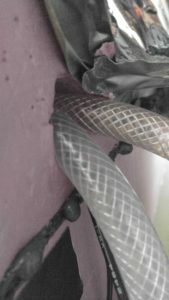 I recommend using reinforced PVC braided tube. You want tubing that is 1/2″ ID, which is the interior diameter – the exterior diameter of that tubing is usually 3/4″. It can handle PSI way above what this pump can put out plus it is very rigid so it won’t cave in from negative pressure and/or kink like the cheap tubing that is sold at places like Lowes for pond pumps. You’ll need two pieces of this tubing. The lengths will depend on the placement of your pump in comparison to your water reservoir and where the sprinkler lines will be located. 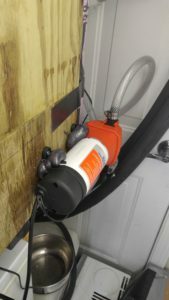 My pump is attached to the outside wall of my grow box. I cut a hole in the wall next to it that was large enough for two pieces of this tubing to fit. On the intake side of the pump, you’ll want to attach a piece of tubing that goes down into your water reservoir to the bottom. I recommend using something like a pump filter bag wrapped around the end of this tubing to help ensure you don’t get any debris in the system. On the output side of the pump, the second piece of tubing goes into your growing area. I would recommend to leave a foot or two of tubing on the inside of the grow box for this output side. We’ll later connect this to the sprinkler heads. Please Note: For a larger, more complex system than mine, you may be better off sticking with the 1/2″ tubing throughout your entire growing area and running spray nozzles directly off of it. This approach wouldn’t use ANY 1/4″ tubing that came with the Koram kit. The larger tubing would simply allow for more water to run through the system. 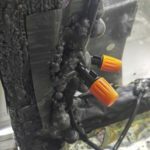 Once you have the tubes connected to the pump, make sure you secure the connections on the pump as firmly as possible – mine have come loose after a while. I ended up wrapping a bit a heavy duty duct tape around those connecting pieces to help ensure they won’t vibrate loose. One other thing worth noting is that my setup seems to have back-pressure, so the pump cycles on and off. That causes a lot of noise and vibration, although it still works just fine. I believe this is because the pump runs at 40 PSI but the sprinkler system looks to be designed for 30 PSI. 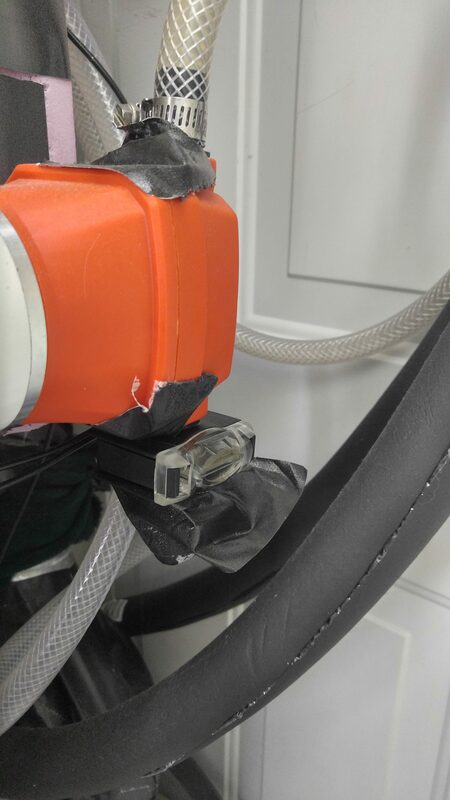 The green connector from the Koram kit that connects to the 1/4″ tubing likely limits it at that pressure, which causes the cycling. It’s possible that using a dedicated 1/2″ tube line for the entire system could fix that cycling. I have also been tempted to try an accumulator tank like this one – I have been reading up on these and they seem to be used with the diaphragm pumps to prevent that cycling. I’m using fairly cheap water nozzles for my sprinkler system. There are some that are more heavy duty and more expensive, but the cheap ones work just fine. With that said, you could technically use any kind / brand of sprinkler, sprayer, mister and / or drip nozzle with this type of system. The Koram kit that I using comes with both drip nozzles (red) and sprayers (orange). I really wanted to use the drip nozzles at soil level to wet the soil but not the crowns of the plants. However, my grow chamber has roughly 100 plants in 3″ plants. Each drip nozzle could reach 4 of these pots if placed in the center of them, but there were only 20 of these nozzles and I would’ve needed 25 to water all of my plants. For this reason, I went with the orange spray nozzles. The orange sprayers can spray water out in a cone shape. If you set them up on a single, straight tube line, you can space the nozzles out about 6″-7″ apart and still get good coverage. Keep in mind, my nozzles are about 8″ above the plants in a small box – if you can place yours higher, the nozzles should cover more area. My grow box is 4 feet wide by 2 feet deep. I ran a 4′ tube line along the top, front edge of the box – this line has 7 orange nozzles on it and they point straight down but slightly angled forward. At the end of that first line, I split it into two lines. One of them ran back across the front edge alongside the existing line. This second line across the front has 6 orange nozzles and they all point straight out but angled slightly down. Those two lines across the front are the only nozzles I initially set up. After testing, I realized the nozzles pointing out didn’t quite reach all of the plants on the back wall that was 2 feet away. That is when I used the other split line that I mentioned before (it was plugged at first). This third water line went along the top edge of the left wall to the back-left corner. At that corner, I put an orange nozzle pointing down and another that pointed straight out along the back wall. I then continued that water line along the back wall to the halfway point and added another set of two nozzles in the same way – one pointing down and one pointing along the back wall. This provided the additional coverage that was needed to soak everything in the box fairly evenly. 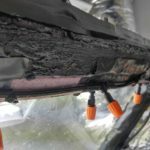 It can be a bit time consuming to complete this particular step because you need to figure out where your water lines will go and where nozzles will be located. Also, the small 1/4″ water tubes with the sprinkler kit can be a bit of a pain to assemble, but it is something you only have to do once. The sprinkler kit comes with a ton of different connectors, which can be quite confusing to figure out. However, you likely won’t need most of them. I tried all of them and really found the barbed tee and the tee pipe connectors to be the most useful and also the easiest to attach to the tubing. Both of those connectors I mentioned are “T” shaped. The barbed tee has cone-shaped tips on all three sides, and it is used to connect three pieces of 1/4″ tube together. The tee pipe has cone-shaped tips on the left and right and a cylindrical tip on the top. The left and right sides connect to tubes while the top connects to a sprayer nozzle. 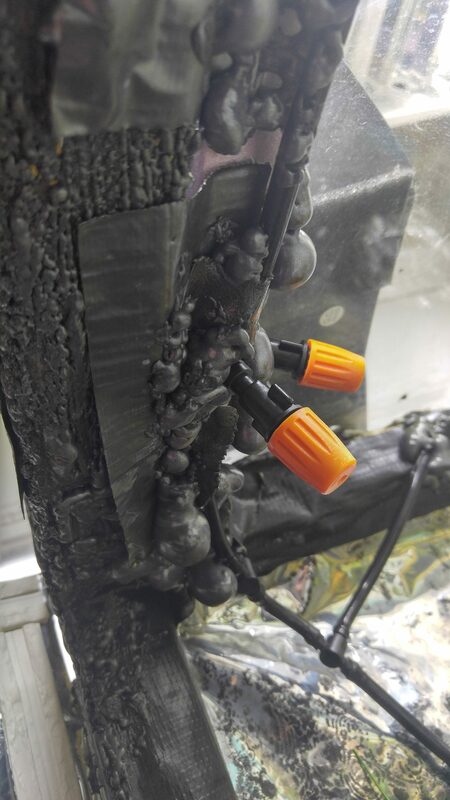 When you are going to attach a piece of tubing to a connector, soak about 1″ of the end in hot water for 10-15 seconds. Pull it out of the water and immediately work on attaching it. The best way I found was to rock the tube opening back and forth against the connector tip while also pushing on it. 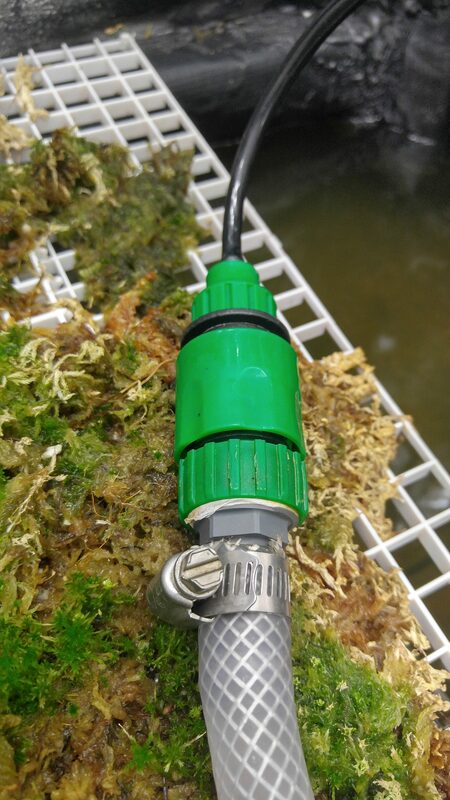 The connector tip is basically a cone – you want to get the edge of the tube at least a bit past the widest edge of that cone (otherwise it may shoot off when water pressure is run through the line). It takes some hand strength to do, which I admittedly do not have a lot of because of teenage injuries to my thumbs from snow skiing and playing ice hockey. It was a struggle for me to put the whole system together, but I just took my time with it and managed to get it done. I figured out the distance that I wanted between my nozzles first and then cut pieces of 1/4″ tube to that length. 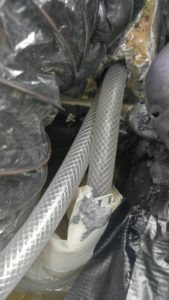 I then attached these tube pieces together using tee pipe connectors and try to keep those connectors facing the same direction. Orange nozzles then go on the remaining side of the tee pipe connectors. I created a string of six nozzles and another string of seven nozzles. These were then connected together at one end using a barbed tee connector so I could run a third line. The third line had nozzles spaced different – there were much longer stretches of water line without nozzles because this was the line I ran across the back wall to fill in coverage areas. With all of those lines pieced together, you’re going to want to seal off two of them. I recommend attaching another tube that is at least a few inches long and then using a plug connector / end closure piece. This allows you to cut off the end closure and add more line and nozzles in the future, if needed. The one line that is not sealed off is where the water will enter. Figure out where that end will be located in your growing area. Also figure out where your output tube from the diaphram pump will enter your growing area. You basically need another 1/4″ tube that is at least that long to attach it to the remaining open end of the nozzle lines. The Koram kit came these green attachment pieces that could potentially be used to connect it to a garden hose. I still use that piece to connect the 1/4″ water line. However, DO NOT attach that piece yet! If you are working in a small area like I am, I really recommend installing the big line of sprayers first and then connecting this green piece to the remaining end. I had shelves already in my grow area that covered an entire level without any extra space. The tube would fit through the openings in those shelves but not if the green connector had been attached first. Now you simply need to install the water sprayer lines. I did not build my grow box with intentions of adding a sprinkler system like this one, so I didn’t have anywhere to attach these lines. I ended up using a combination of techniques to install these sprinkler heads. For the long lines that I installed on the front-top edge, I took two pieces of sturdy styrofoam board and attached the lines to them. Each piece was about 18″ long and had 3 sprinkler heads attached pointing down and another 3 pointing out. These pieces fit between the supports at the top of my grow box, which is why I didn’t just make one long piece. 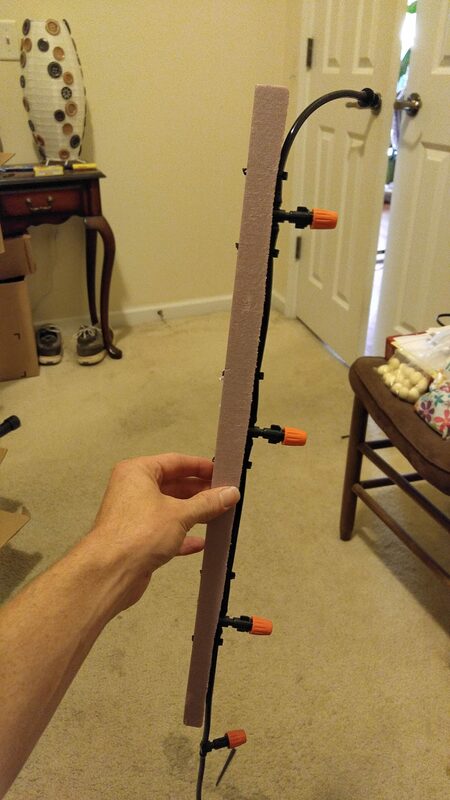 To attach the lines to the styrofoam board, I used the hook stakes that came with the sprinkler kit. I would first shove the stake through the styrofoam all the way up to the hook head so it was the only thing sticking out that side. I would then use a pair of hedge clippers to snip off the long piece left on the other side. I could then put the tubes in those hooks to hold the sprinklers in place. I also used waterfall foam for this step. I first put all the hooks in the styrofoam. 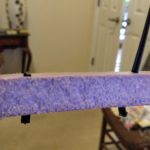 To attach the styrofoam board to the grow box, I taped them in place. Then I used waterfall foam on both sides and along the edge to give it a more permanent seal. After letting it dry, I could then hang the tubes on the hooks. 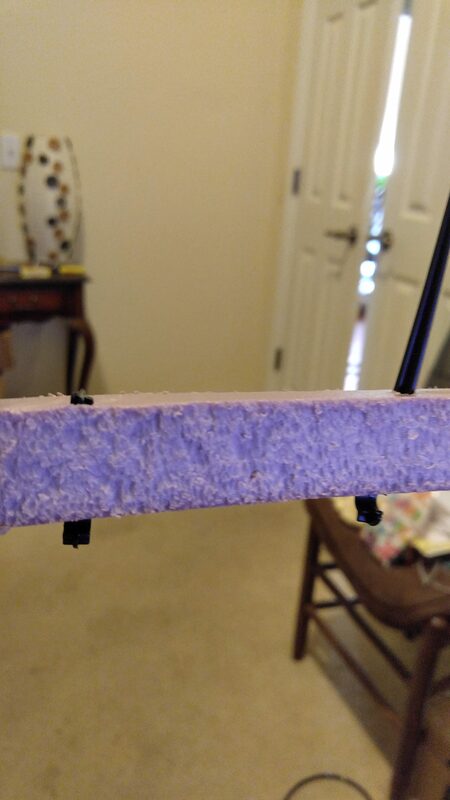 The hooks did a decent job but the tubes would sometimes pop out, so I ended up using more waterfall foam to secure the nozzles to the board better. Without that more solid placement, I would sometimes end up with small areas of plants that didn’t get much water because the nozzles would shift out of place. Since adding the foam to secure the nozzles I haven’t had issues like that. The third water line that I ran along the side and half of the back wall I connected slightly different. I first hung it in place and attached it to the grow box with duct tape. 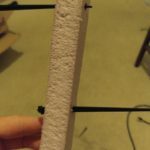 Then I went back and used waterfall foam for a stronger and more permanent hold. 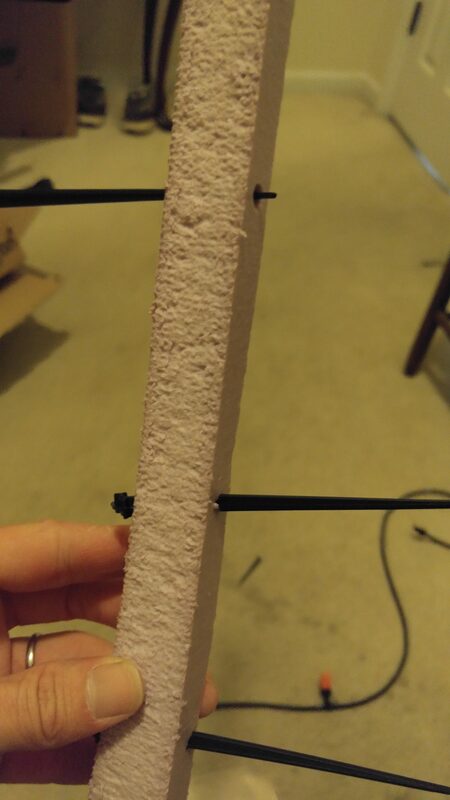 Technically, I probably could’ve done this along the front edge and it may have been easier than the styrofoam method too. You should now have your pump and sprayer lines installed. You just need to connect it together and add a timer to complete your automated watering system! The sprinkler line should have one loose tube end that isn’t connected. Run that down to where the pump output tube comes into your grow box. Remember the green connector from the Koram kit that I’ve talked about? Now is the time to use it. There will likely be two separate green pieces in that kit – they actually fit together, so do that first if they are separate. 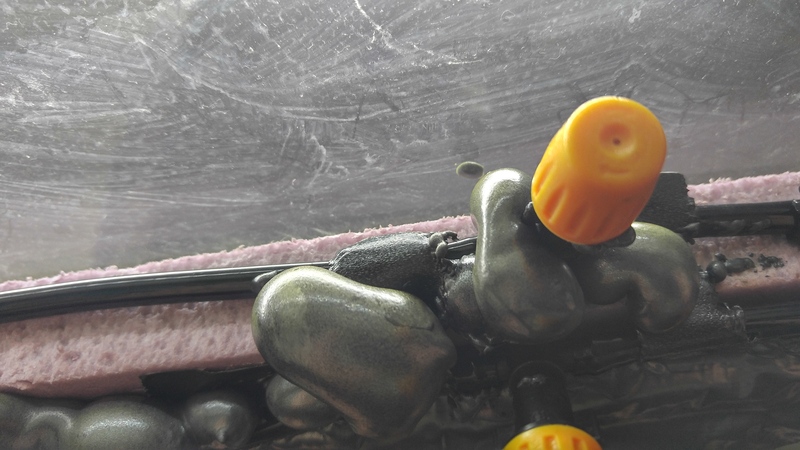 You’ll then need to attach the loose end of the 1/4″ tube to the green connector – there is a black tip on one end. The other end is a threaded female adapter (a garden hose can actually connect to that). Since I want to connect it to a 1/2″ tube from the pump, I need an adapter. That adapter should be plastic / PVC / poly and not metal. The adapter is 3/4″ male threaded to 1/2″ barbed. The threaded end screws into the green connector. With the adapter connected, you can then simply attach the 1/2″ tube from the pump to it. However, be sure to use a tube clamp or else this will likely shoot off when the pump is turned on! The final step is setting up a timer to control when the pump should run. Personally, I’m running mine for 10 minutes at a time, three times a week (tues, thurs, sat). This is basically every other day watering, but once a week it has a slightly longer drying period that is a two days instead of one. This is easy to set on the 7 day timer. I have mine run the 10 minutes right before the lights turn off. Since those timers have 8 programmable settings on them and a variety of days that can be selected with each, you can really program it to do almost any schedule you want. Your automatic sprinkler system for your grow box should now be completed! 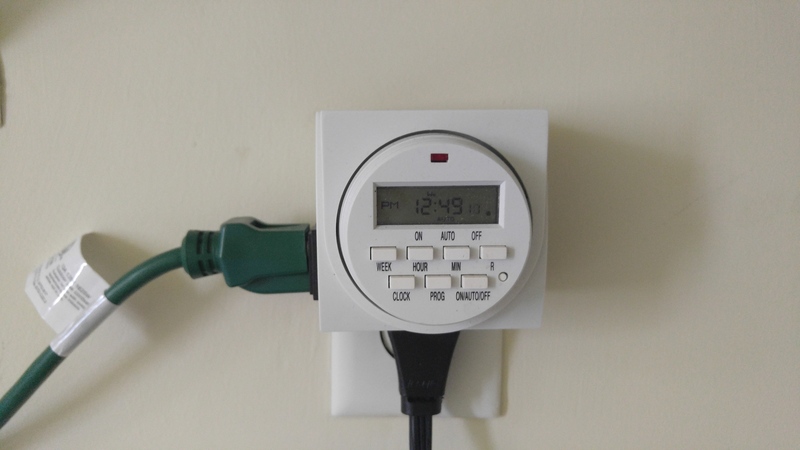 If you want to test it out without waiting for the timer, you can cycle the timer on and off manually or simply plug the pump directly into the wall.